We provide coordination with your staff, tradesman and tenants so you don’t have to worry. Our promise as a professional contractor is to build value into every project we complete. Looking for a Spray Foam contractor who is commited to quality? Commercial construction projects can present challenges to architects and contractors, some involving insulation, air sealing or sound dampening. 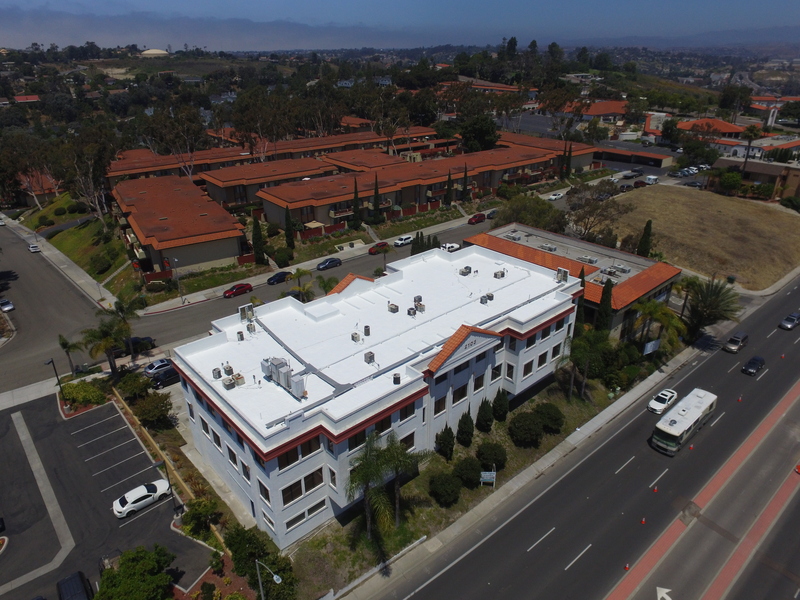 We're your San Diego Spray Foam Contractor for spray foam insulation and spray Polyurethane insulated foam roof (SPF roof, coated foam roof), commonly known as Cool Roof, the most proven, durable and energy saving roofing system available today. In use for over 30 years, SPF is the roofing system of choice for the Department of Defense, major universities, museums, office and municipal buildings, metal buildings, commercial, industrial, processing/manufacturing plants, movies/recording/sound studios, apartment complexes and retail complexes - even the Louisiana Superdome !!! Cool-Roof and the installers were great to deal with. I'm very happy with all the work they did. I definitely recommend them. 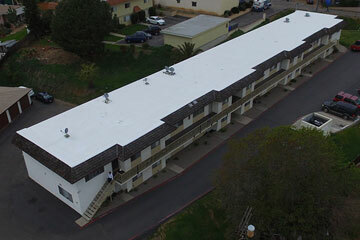 If you are thinking of redoing a flat roof "Spray Foam Roofing" is the answer. HIGHLY RECOMMEND!! "You and your team did a great job - thank you!"